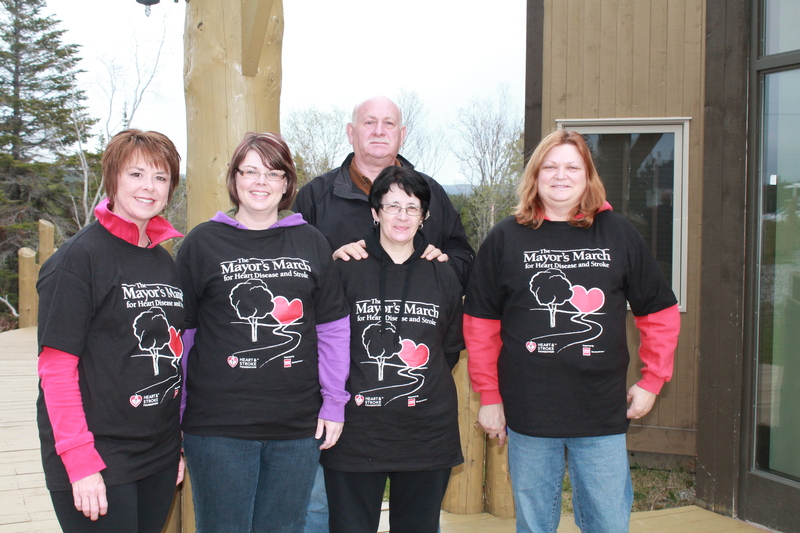 The Town Council of Roddickton-Bide Arm will take part in the Mayor’s March for Heart Disease and Stroke on Wednesday starting at 6:00 pm. They will meet at the Town Office and walk around the block for this cause. In the event of rain, it will take place in the Arena. If you would like to join in, pledge sheets are available at the Office Town. 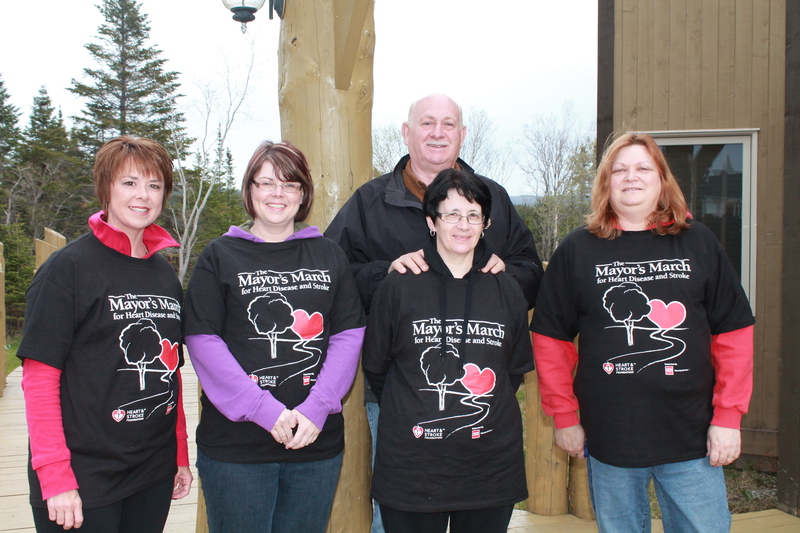 All individuals collecting donations of $ 25 or more, will receive a free t-shirt from the Heart and Stroke foundation. 2013 Mayor’s March for Heart Disease and Stroke! This evening, June 10 at 7:00 pm, Mayor Norman and Staff will be taking part in the Mayor’s March for the Heart and Stroke Foundation. Anyone is welcome to join us on a short walk to raise money for this cause. A minimum donation of $25 is required to receive a t-shirt but any donation will help with the fight against Newfoundland and Labrador’s leading cause of death.